Jonny Coleman, glad handed purveyor of “free” stuff that costs the taxpayer $27.5 million. Paula Bennett is just another socialist really but she has the potential to be something better. If she could ever escape the cloistered thinking of the National Party. She’s doing as well as can be expected in her portfiolio considering the limitations of John Key’s ineffectual leadership, and I was pleased to see she is not afraid to give herself success targets. The Government has set itself ambitious new targets including 75,000 fewer New Zealanders being on benefits by June 2018 as part of its Better Public Services drive, Finance Minister Bill English and State Services Minister Paula Bennett say. 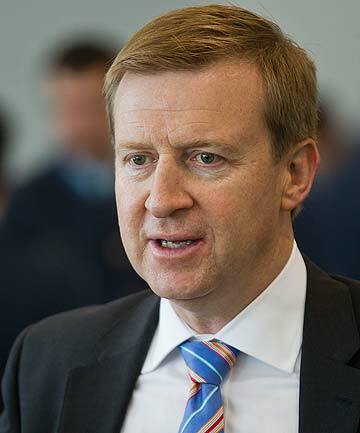 The ministers today released the latest results from the Better Public Services programme showing almost 5000 people (-6.6 per cent) came off long-term Jobseeker Support benefit in 2014, the number of children who experienced substantiated physical abuse decreased by almost 200 (-5.6 per cent) over the 12 months to September 2014, infant immunisations are at an all-time high and crime numbers continue to fall. I’m always skeptical of government stats, but lets take the results at face value and say its well done. Result 1 – A 25 per cent reduction (from 295,000 people as at June 2014 to 220,000 as at June 2018) in the total number of people receiving main benefits and a $13 billion reduction in the long-term cost of benefit dependence, as measured by an accumulated Actuarial Release, by June 2018. $13 billion? Really. Well, that’s a great target. Pity we have Jonathan Coleman and Nikki Kaye doing their best to undermine it. Health Minister Jonathan Coleman and ACC Minister Nikki Kaye have confirmed ACC’s commitment to free under 13s doctor visits. “Free doctors’ visits and prescriptions for children aged under six will be extended to children aged under 13 from 1 July 2015,” says Dr Coleman. “ACC will provide an additional $27.5 million over the next three years,” says Ms Kaye. In Budget 2014 the Government announced $90 million over three years so under 13s can go to a doctor, any time of the day or night, for free and get their prescriptions free as well. The free under 13s programme will now be extended further to include ACC injury-related visits, with the health sector’s representative group on primary care contracts signing off on the deal this week. “We want our children to have the best possible start in life, and that means helping them bounce back from injuries as quickly as possible,” says Ms Kaye. “It is also important that caregivers shouldn’t be put off getting medical assistance for their young children because of the cost,” says Dr Coleman. So while Paula is struggling to get her welfare budget under control, Nikki and Johnny are beavering away at growing govt dependency. Get that socialism to the kids when they’re young guys, make sure they know that the idea of govt is to provide everything “free”. I don’t know any parent who wants to shift the responsibility for their care to their neighbour, but that is what “free” doctor’s visits are about. It’s just encouraging and growing dependency while Paula Bennett is trying hard to do the opposite. Of course what’s really behind this is the left’s propaganda attack using the phrase “child poverty” as their main ammunition. Poll driven compromiser John key hasn’t got the balls to launch a counter attack so he yields again. Leaving aside that what Jonny and Nikki call “free” is costing the taxpayer $27.5 million. Any used car salesman using this kind of deceit would be up on charges. ‹ Did Obama send furtive hand signal to Muslim leaders? Maybe I missed something, but I though my ACC payments were for accidents under our no fault system. Is it an accident that children have to pay to go to see a doctor??? ?